We don’t have to get all potty mouth to talk about our bowel movements. But sometimes, it makes the conversation seem less difficult when we use words that reference the ‘end product’. Ya know… poo poo, doo doo, poopy, crap, sh$t, dookie, feces, number 2, and my favorite… dung. Google tells me there are 1000s of other ways to reference poop, so that could be an activity to explore on a rainy day. 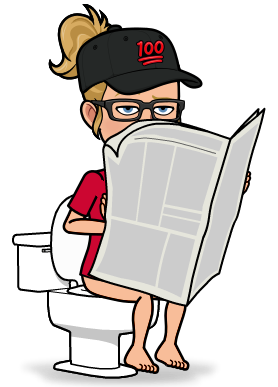 Poop talk may not strike you as useful or necessary, but I can tell you that what comes out can definitely be helpful to figuring out a variety of issues going on in the body. 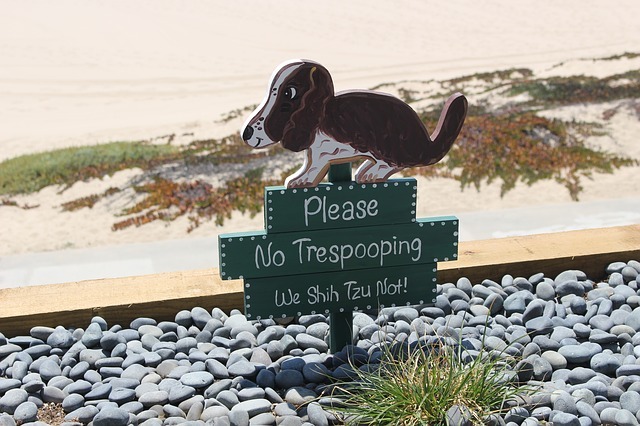 This in turn can help us with fine-tuning nutrition and hydration patterns or pursuing further diagnostic testing if your “poop life” ain’t pleasant (in conjunction with other reported uncomfortable signs and symptoms). There’s not a single “right” poop in terms of smell, shape, form, frequency, or time of day. Some of us poop every other day or once every day while others poop 2-3 times in a day. Sometimes poop is smooshy and sometimes it’s ploppy. Cool descriptors, eh? We could go on and on about the variances, but I don’t want to poop you out. See what I did there? The bottom line is that there’s not a ‘one size fits all’ when it comes to poop. 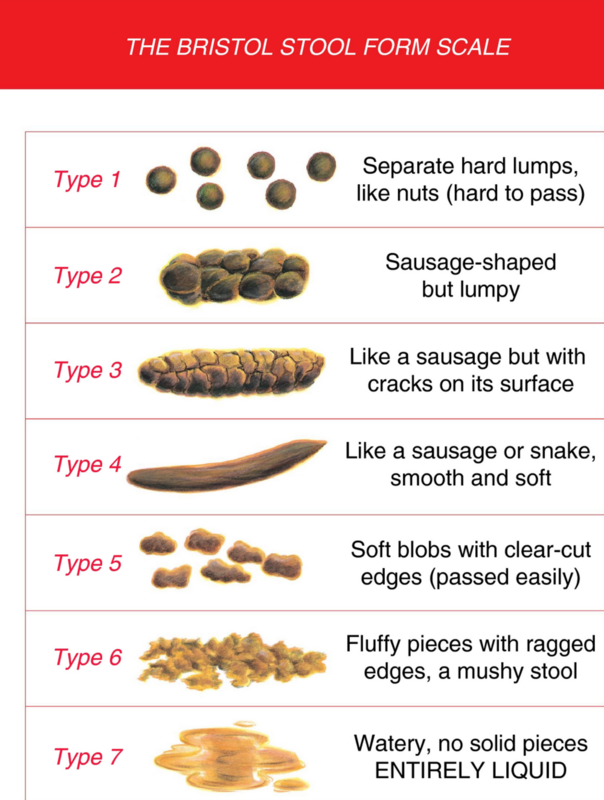 You can check out the Bristol Stool Form Scale (below) to see how your typical poop fares by the current clinical and research standard. It is said that Types 3-5 are considered normal. Don’t be afraid to talk with your doc and dietitian if you have chronic digestive issues or complaints. This would include constipation, floaties, abdominal bloating, lots of gas, strange poop colors (green, black, red, anything non-brown), or extremely nasty smelling poop. It may be a challenge to start the conversation, but remember that your poop is part of your health and poop don’t lie. P.S. If you want to hear some fun poop talk, check out the recent podcast with Nicole DeBoom. P.P.S. I may or may not do this.